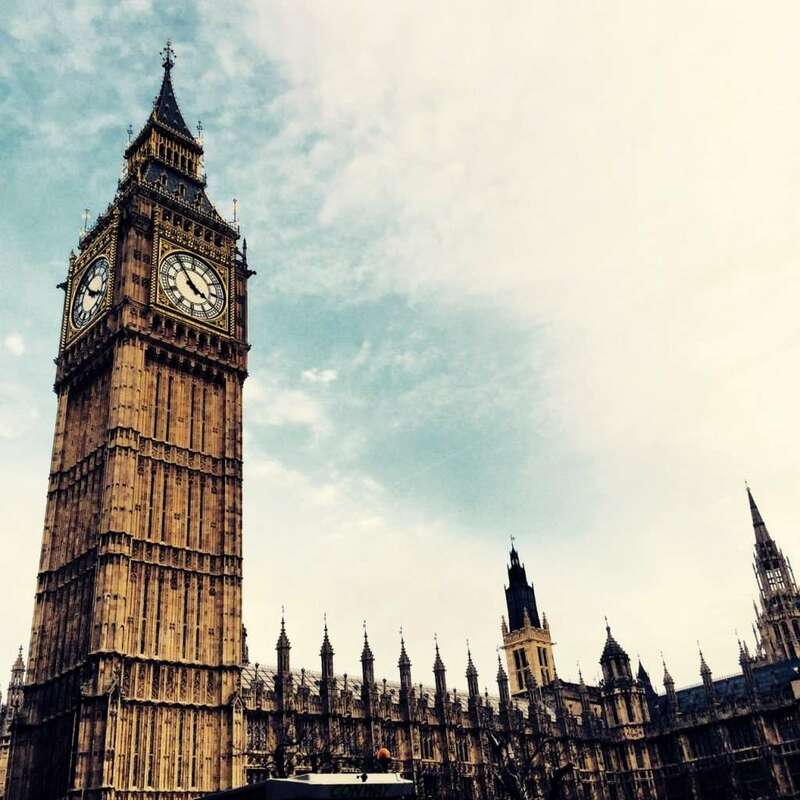 Buckingham Palace, Piccadilly Circus, Marble Arch, Big Ben, the iconic red double-decker buses…London has no shortage of tourist attractions and architectural treasures. It also has the best people watching with its 7.5 million residents speaking more than 300 languages between them. Standing on the River Thames, London is truly an international city. The City of London is the main financial district with Canary Wharf and Docklands to the east. London’s vast urban areas consist of Bloomsbury, Mayfair, Wembley and Whitechapel, amongst several other districts and the West End is where you can find most of London’s main entertainment and shopping districts. 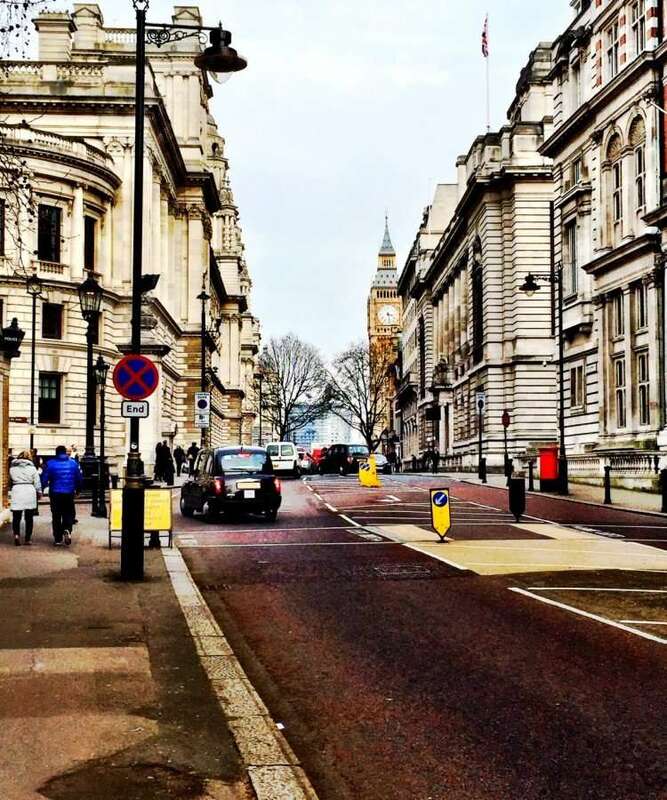 For decent prices and lighter crowds, visit London in the spring or fall. April and October seem to have the best confluence of mild weather and tolerable crowds. Rates are generally the cheapest during the off season from late October to mid-December and from January to mid-March. Rates generally increase between March and June and hit their peak in the high seasons between late June and September and for the holidays in December. The fastest link between Heathrow airport and London is the Heathrow Express. 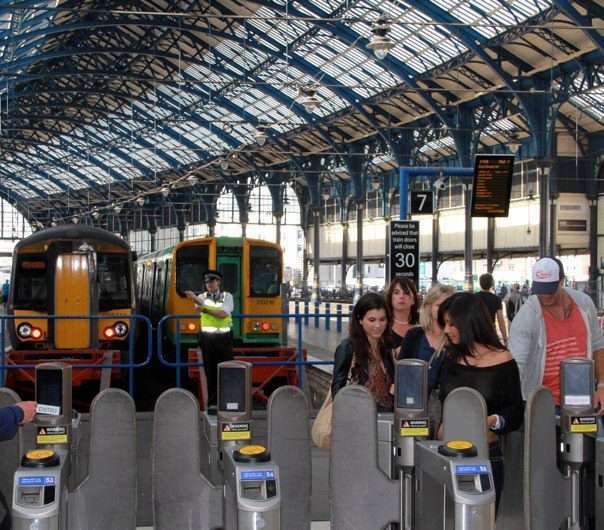 Non-stop trains run directly to Paddington every 15 minutes (journey time is 15 minutes). Heathrow Express trains stop at Heathrow Terminals 1, 2 & 3 and Heathrow Terminal 5. Tickets are available online, at the station or on the train. The standard-class single fare is £26.50 on board or £21.50 in advance. Returns are £40 on board or £35 in advance. Once at Paddington station, you can take the London Undergound’s District, Circle, Bakerloo and Hammersmith & City lines. You can find out more about the Heathrow Express by clicking here. 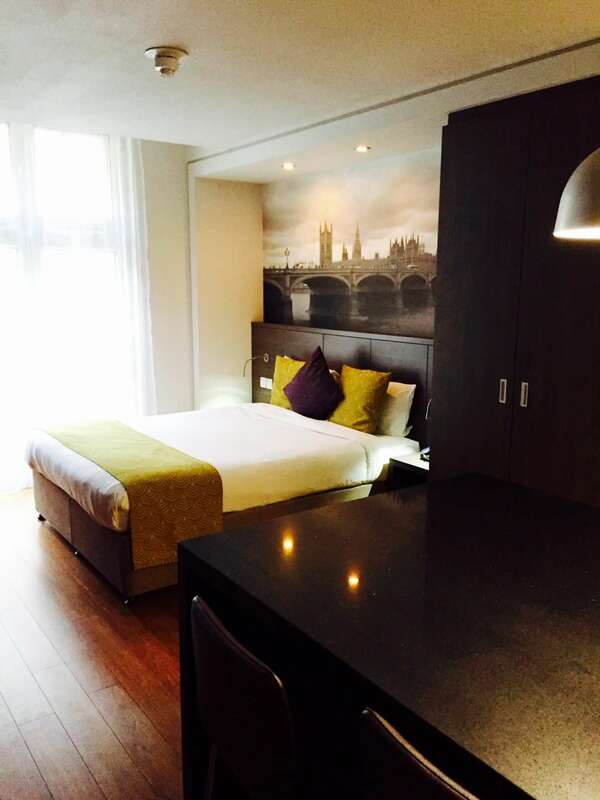 Citadines Trafalgar Square London is located in the heart of Trafalgar Square and a short walk from the Houses of Parliament, Big Ben and Westminster Abbey. 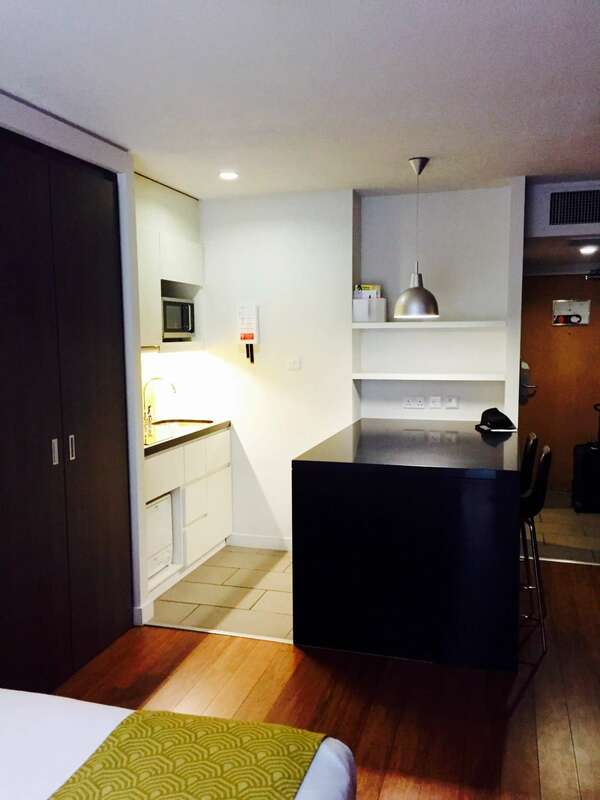 The Apart’hotel has 187 air-conditioned apartments with fully-equipped kitchen areas. 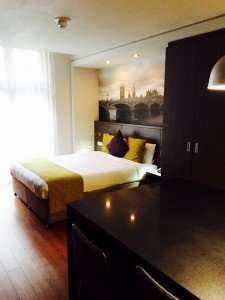 As you know, London can be insanely expensive so a nice affordable room in a fantastic location like this is quite a gem! 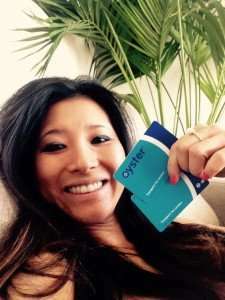 Your first item of business is to purchase a three day Oyster card from the nearest Tube station. 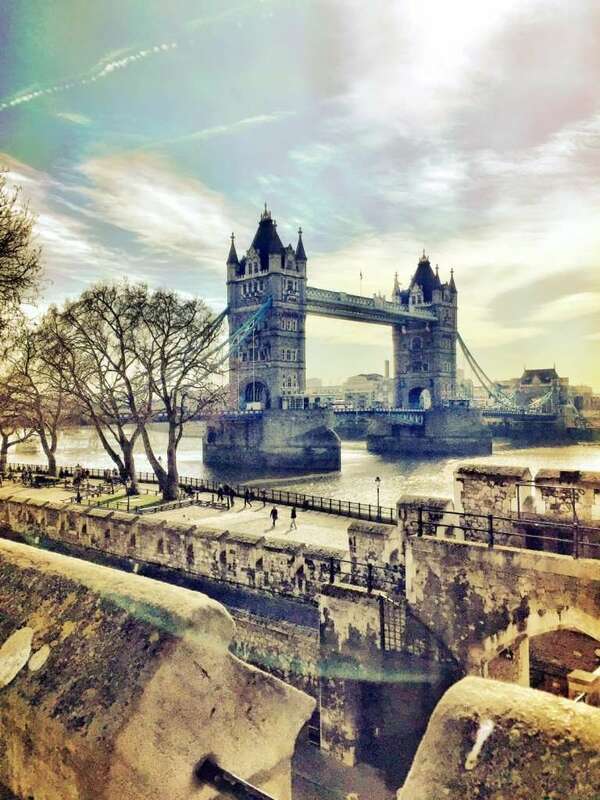 Take the Tube to Tower Bridge and see the Tower of London. The Tower of London is a historic castle located on the north bank of the River Thames and was used as a prison from 1100 until 1952, although its primary purpose was to serve as a royal residence. 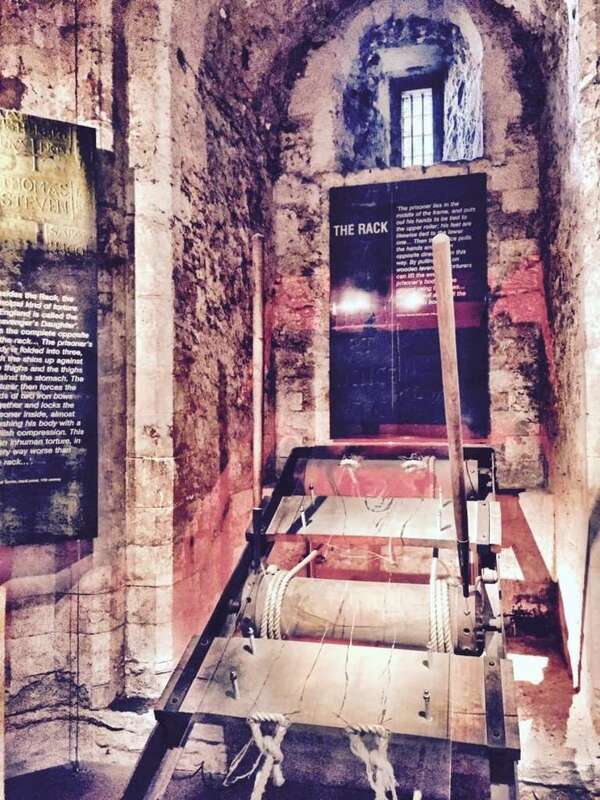 The Tower of London has an enduring reputation as a place of torture and death, popularized by 16th-century religious propagandists and 19th-century writers, and is the source reference for the term “sent to the Tower”! Stroll along the Thames and up Ludgate Hill to St. Paul’s Cathedral, one of London’s most famous and recognizable sights. St. Paul’s Cathedral’s dome, framed by the spires of Wren’s City churches, has dominated the London skyline for 300 years. Visit the Tate Modern, Britain’s national gallery of international modern art that forms part of the Tate group, or the Millennium Bridge, a modern work of art in its own right. Take the Tube to the Piccadilly Circus Underground station. Piccadilly Circus, famous for its neon billboard signs that rival Times Square, is central to the main shopping, entertainment and nightlife areas of the city. Piccadilly Circus is surrounded by several major attractions including the Shaftesbury Memorial, Criterion Theatre and the London Pavilion. Explore the unique boutiques and flagship stores of Soho’s Carnaby Street, one of London’s most popular and distinctive shopping destinations. Newburgh Quarter is located just a step away from Carnaby with additional boutiques, restaurants and iconic brands. 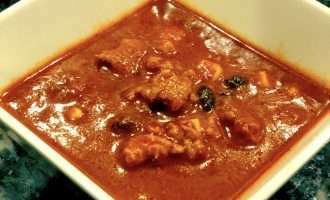 More than 50 independent restaurants, cafes, bars and quintessential English pubs are found in the area serving more than 15 different cuisines from around the world. Carnaby is a five-minute walk from Oxford Circus and Piccadilly Circus Tube station. 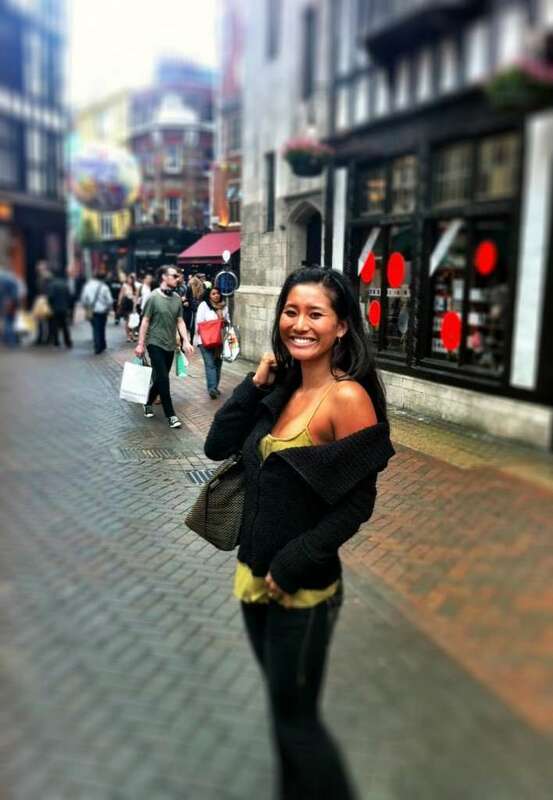 Walk to Leicester Square and explore the restaurants, nightclub and theater district. Leicester Square is the center of London’s cinema land and the prime location in London for world leading film premiers. Buy cheap last minute theater tickets at the Official London Half-Price Theatre Ticket Booth and catch a matinee or evening musical! Visit the booth on the south side of Leicester Square (Monday to Saturday 12:00 pm – 6:30 pm, Sunday 12:00 pm – 3:00 pm) for same-day bargains. All the other booths are phony! Grab a quite bite beforehand at my favorite London chain, Wagamama. They serve delicious modern pan-Asian cuisine (noodles, dumplings, rice dishes, etc.) at large shared tables. I can’t leave London without getting the Prawn Chilli Men, stir-friend prawns in a spicy chili men sauce served on top of soba noodles. An amazing explosion of flavors! Take the Tube to Covent Garden Underground Station to check out the pubs at Covent Garden. Forgo the 193 steps to the top by taking the elevator out of the underground. Covent Garden, an affluent area of London, is a maze of narrow streets and arcades filled with shops and street performances. Within its network of entertainment, Covent Garden has 13 theaters and over 60 pubs and bars, with most south of Long Acre around the main shopping area of the old market. Start your day taking the Tube to the Charing Cross station to explore Trafalgar Square. 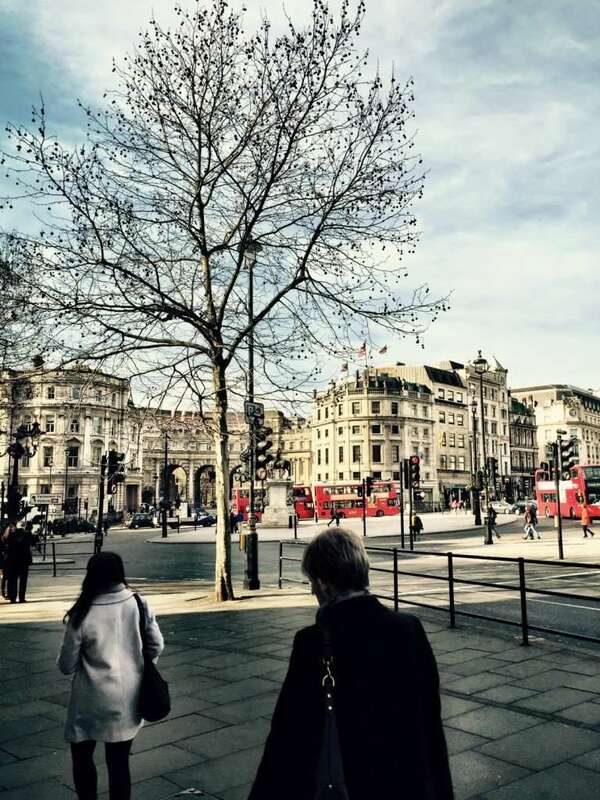 Trafalgar Square is in the heart of London and one of the city’s most vibrant open spaces. Be sure to visit the National Gallery, a free art museum that has paintings from many famous artists such as Da Vinci and Rembrandt. Exit Trafalgar Square to the south and walk down Whitehall Street towards Big Ben. Big Ben is the nickname for the Great Bell of the clock at the north end of the Palace of Westminster. The Palace of Westminster continues to be the seat of Parliament and is one of the most significant monuments of neo-Gothic architecture. You’ll see Westminster Abbey, a church where all the sovereigns since the 11th century have been crowned and where royalty is married and buried (cost of entrance is £15.00) as well as Saint Margaret’s Church, a small medieval church built in perpendicular gothic style that continues to be the parish church of the Palace of Westminster. 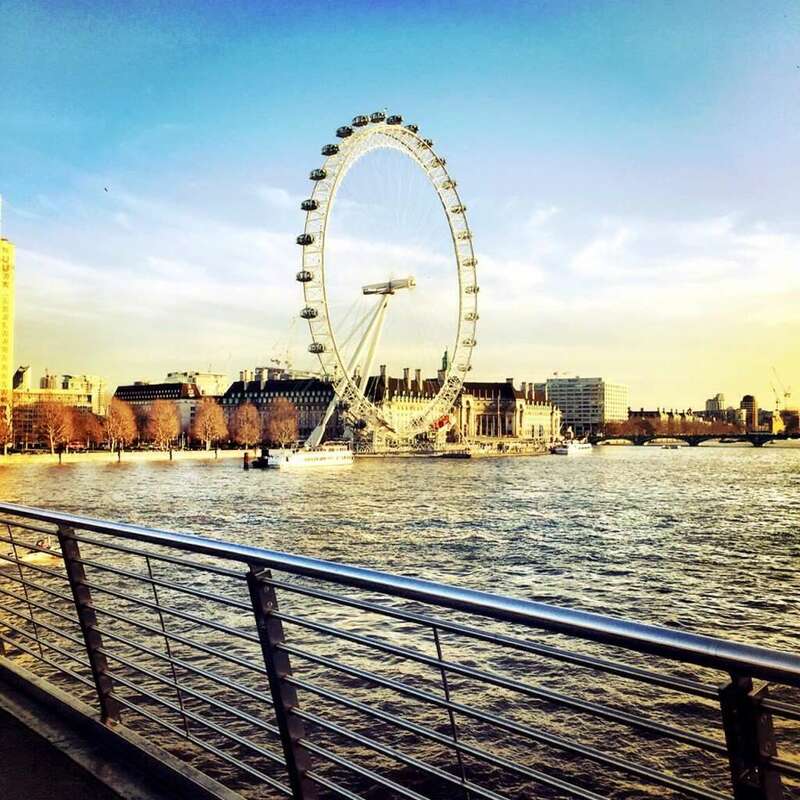 Cross over Westminster Bridge and take a ride on the London Eye, the biggest Ferris wheel in Europe, for fantastic views of the city. A ride will cost you £17 but the ride lasts for a full 30 minutes and the views are fantastic. I recommend riding it at night for a clearer view of the beautifully illuminated buildings. Cross back over the bridge, walk northwest and pass St. James’ Park (the oldest park in London) on your way to Buckingham Palace. Buckingham Palace is the official residence of the British Monarch and is used to receive and entertain guests on state, ceremonial and official occasions for the Royal Family. There is an entry fee and tickets are limited so book ahead if possible. The Changing of the Guard ceremony takes place in the forecourt of Buckingham Palace at 11:30 am every day in summer and every other day in winter and lasts for 45 minutes. Walk west on Constitution Hill until you reach Hyde Park, one of the largest parks in London and one of the Royal Parks of London. Hyde Park is famous for its Speakers’ Corner and is divided in two by the Serpentine and the Long Water. The park is contiguous with Kensington Gardens, together giving an overall area of 625 acres. Kensington Palace, the Italian Gardens, Albert Memorial, Peter Pan Statue and the Serpentine Galleries are all located within Kensington Gardens’ 242 acres. Make a dinner reservation at The Ledbury, a discreet and welcoming but quietly outstanding restaurant tucked away in a corner of Notting Hill on Ledbury Road. The Australian-born chef-patron, Brett Graham, opened the restaurant in 2005. Since then, the restaurant has earned two Michelin stars and has been featured in S. Pellegrino World’s 50 Best Restaurants. Try the 6 or 8 course tasting menu for an exquisite dining experience! Make your way to Camden Market by taking the Tube to the Camden Town Underground station. Camden Market is the largest street market in the U.K., attracting over 100,000 visitors every weekend. You’ll be able to find souvenirs, old music records, jewelry, clothing, trinkets, food and more! 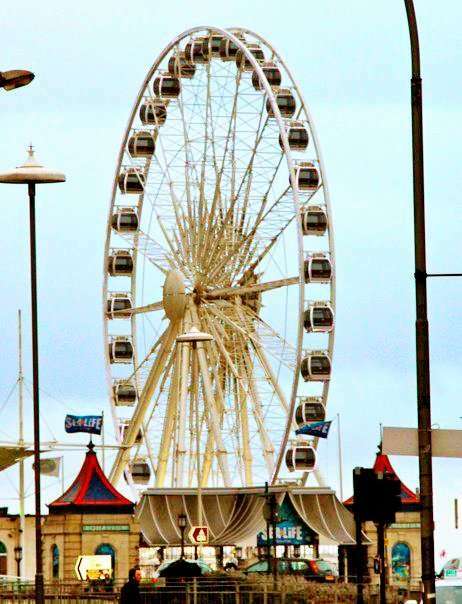 If you have the time, take a day trip to the charming seaside town of Brighton on the south coast of England. 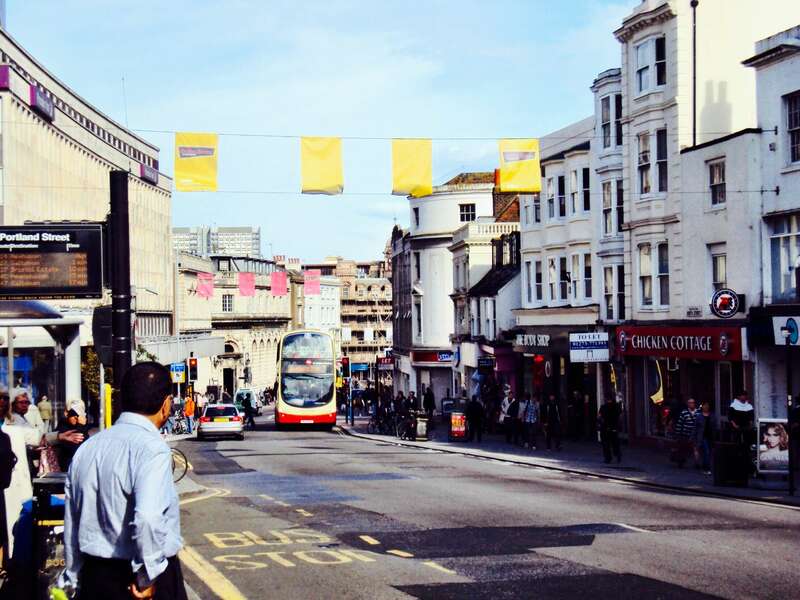 Brighton has a 5.4 mile shingle beach with a seafront packed with bars, restaurants, nightclubs, sports facilities and amusement arcades. The most popular area is the central section between the West and Palace Piers. Daily visits here can exceed 150,000 on weekends in high summer. Stroll down to the end of Brighton’s Victorian pier, browse the antique shops and boutiques and visit the Royal Pavilion, the splendid summer house built by George IV when he was Prince Regent. Trains depart every 15 minutes from either the London Bridge or Victoria station and the journey takes about an hour. Round trip tickets are £25 from Victoria but you can get cheaper advance off peak tickets from London Bridge station. For the best burger of your life, go to Burger Brothers….explosively good burgers at low prices. Try the Benneton Burger with chorizo! Carry both sunglasses and an umbrella…just in case! Consider purchasing a London Pass, a sightseeing card that covers over 55 attractions. Never take a minicab. Only black cabs have a meter so you know how much you’re paying and they usually know the best routes. The Tube is usually the fastest and cheapest option! If you’re staying for an extended amount of time, you’ll want to get a weekly Travelcard (you’ll need a passport photo to get one). It covers the underground, red double-decker buses, and British rail trains. If you plan to explore only central London, buy a Zone One unlimited travel pass for £15.30 ($22.25); other passes cover up to six zones (£35.40/$51.50), but four will get you pretty much anywhere you’d want to go except Heathrow. The cards are available at all train and tube stations and tourist offices. The cards are cheaper after 9 am! The only legitimate booth for discount theatre tickets is the London Half-Price Theatre Ticket Booth. Don’t trust the other booths! Visit the booth on the south side of Leicester Square (Monday to Saturday 12:00 pm – 6:30 pm, Sunday 12:00 pm – 3:00 pm).